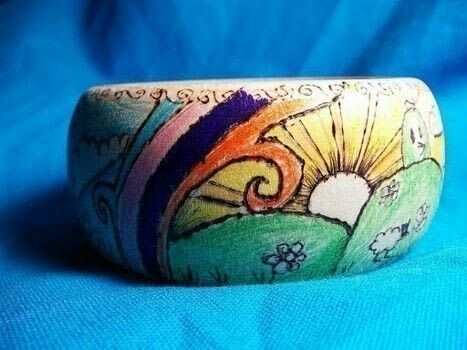 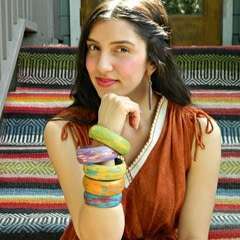 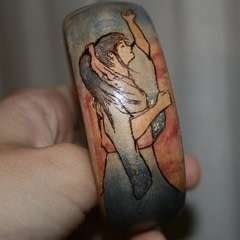 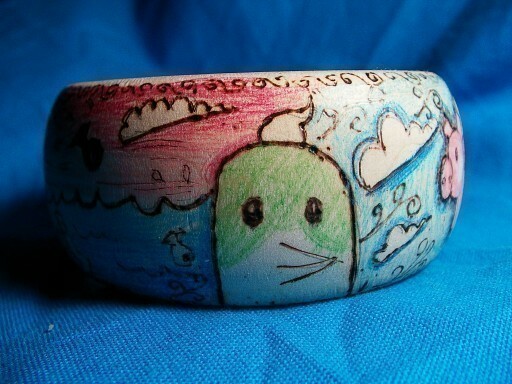 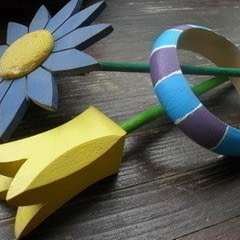 Found some wooden bangles at the hobby store, used a pencil to outline my design, used a wood burner to create it, and color pencils for the final finish. 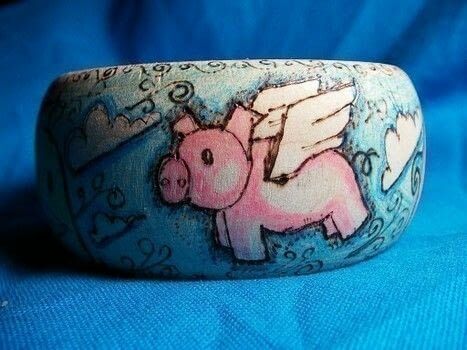 that is so insanely cute! 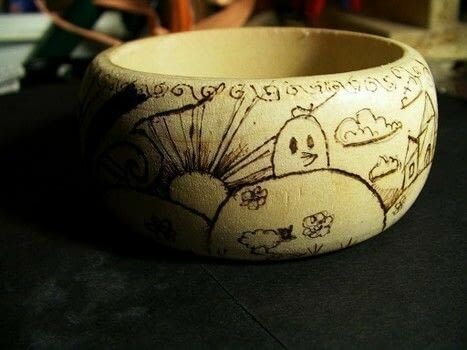 Very cute. 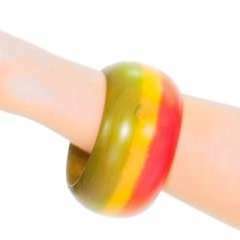 I love bangles. 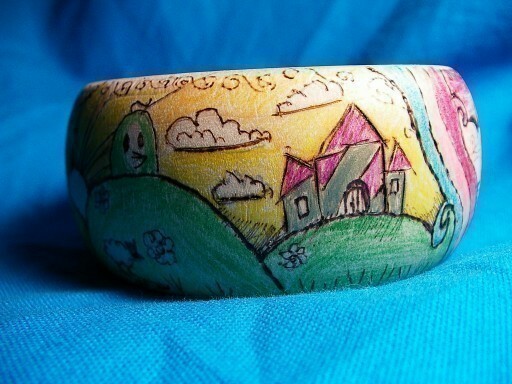 Wish I was decent enough at drawing to make those.